Plays in your core. 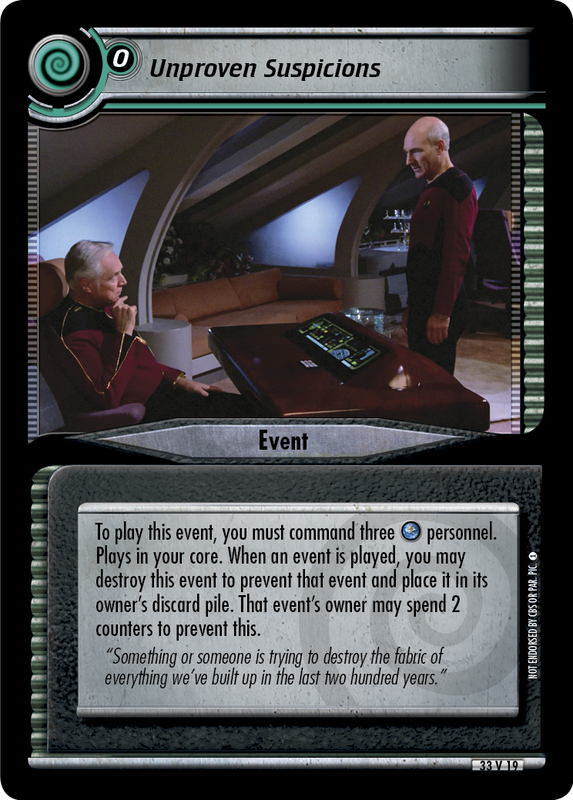 When your personnel or personnel is about to be stopped by a dilemma at a mission, you may discard the top two cards of your deck (or an event from hand) to prevent that. You may do this only once each dilemma. 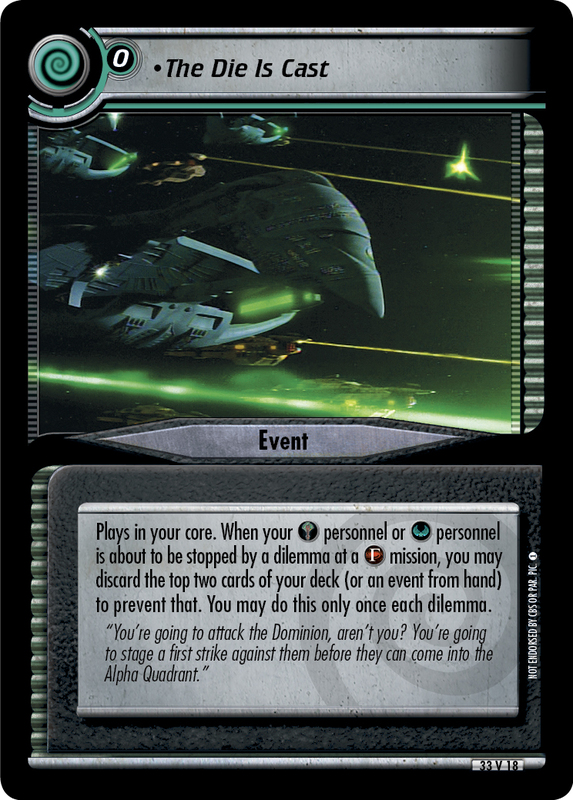 "You're going to attack the Dominion, aren't you? 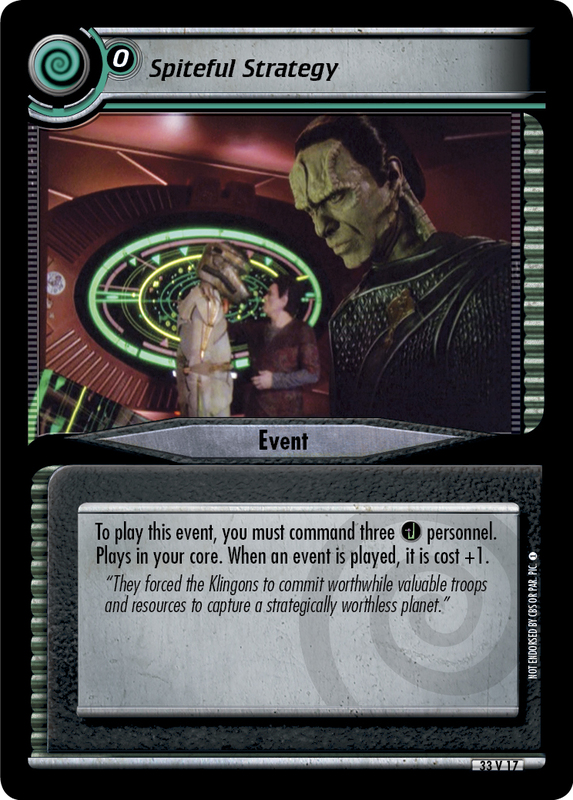 You're going to stage a first strike against them before they can come into the Alpha Quadrant."